A cable’s jacket has a huge infuence on its sound. 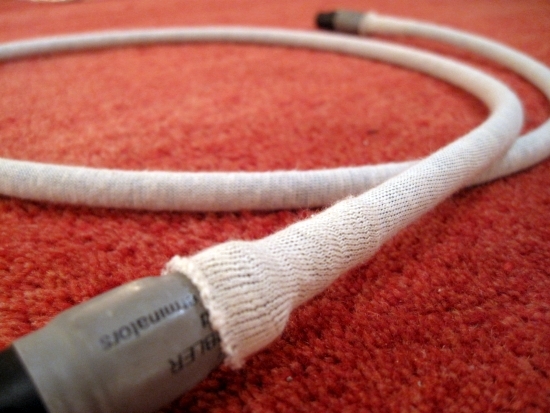 What’s more: adding another layer around an already insulated cable still has a large effect! Cotton sleeves supplied by Reference Tweaks. 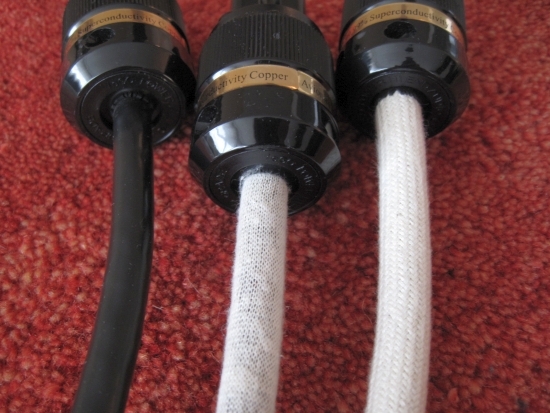 So, adding another layer of cloth, metal or pvc still alters the sound of an existing cable? I must admit that this is something that surprised me too. I first heard similar effects when I wanted to cram three RG59 coaxial cables into an XLR connector for use as an analog interlink and had to remove the outer layer of PVC sleeving in order to make this possible. I left the shielding braid in place and made sure that this shield was not connected. XLR uses three pins and I just used the central conductor for that and left the shielding unconnected, and did the same before I removed the outer sleeving. It was immediately obvious that the sound had changed enormously. The difference was so great that I needn’t even compare with an original cable, the difference was that obvious. What changed was perceived drive, speed and attack. The RG59 by itself is a pretty quick and agile performer with great PRAT and dynamic slam. Once the outher sleeving had been removed the cable sounded more natural but also less fast, less forward, less rhythmic and with considerable less slam. It was ridiculous. But unmistakable. The second hint I got in the direction of accepting that a cable is greatly infuenced by the sleeving surroundin it, and as it turns out, also by the floor on which it lies, came when I bought some Precision Audio Cable Elevators (scroll down to find the product). I thought it just looked nice and clean but after applying the admittedly pretty expensive pods under the speaker cables, I was struck by a sound that I didn’t expect. Well, I must say that I didn’t expect much change but the difference turned out to be very large. The soundstage became higher, more finely delineated and there was more low level detail. Also there was less haziness and the bass was tighter and more agile, but also thinner. 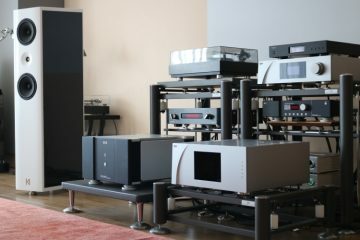 In many setups all these changes would be considered good but my system (Marting Logan SL3’s) at the time, was already verging toward the clean and analytical, and the addition of the Cable Elevators was just too much for me. But I had learnt another lesson: the floor influences the cables. More than you’d think. The same was true for lifting only the network boxes that are part of Transparent Cables. 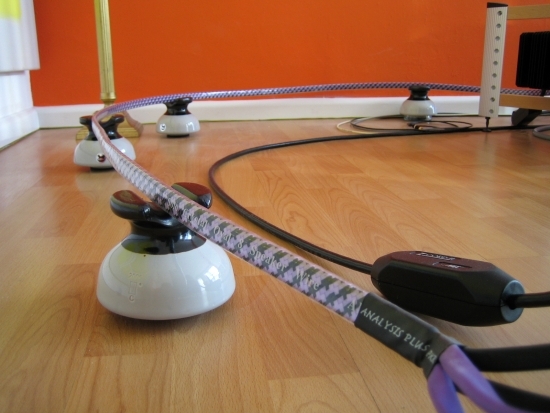 Putting them (and only them, not even the cable itself) on rubber feet instead of straight on the floor makes the sound appear less forceful in the bass with less detail and less speed. Somewhat comparable to the Cable Elevators but (probably due to the use of soft sorbothane) somehow softer in effect. 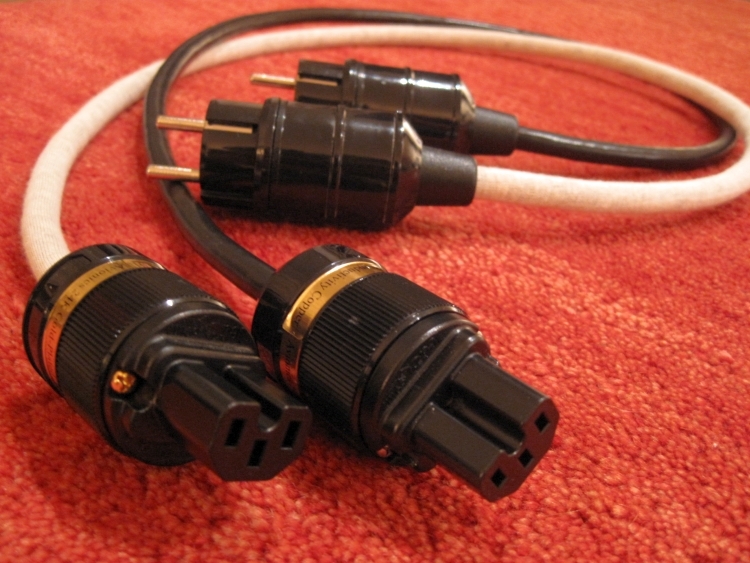 Above: three identical Belden cables and identical connectors. The difference is only in the extra T T L’d cotton sleeves. Now, if removing a layer of sleeving, what would adding a layer do? I wouln’t blame anyone for thinking that it wouldn’t do much but again this has a very pronounced effect and the direction in which you can take the sound of a given cable varies with the material you use. I’ve done tests with many materials and each time the effect is different. Funnily enough, the effect sort of correlates with the impression you have with a given material. For example: cotton. You think soft, smooth, right? Well indeed this is more or less what it does to the sound. Sound like wishful thinking? That’s exactly what I thought at first too. So I decided to make three identical powercables and vary only the outer sleeving, then conduct listening tests, not only by myself but also with friends, without telling them what they’re listening to. The results turned out to be the same, no matter if you knew what you were listening to or not. But, the sleeves are no ordinary cotton sleeves. They are supplied by a company named Reference Tweaks and they have been treated with a TTL process. What this entails exactly is a secret and I can only guess. As indicated above, I made three identical Belden powercables, left one without additional sleeving and applied two different kinds of sleeving to the remaining two cables. 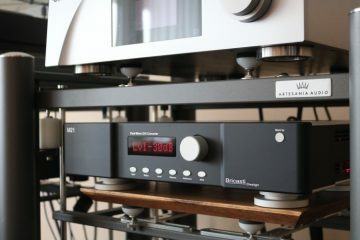 The cables were used in the same way, in the same position of the same extensionblock, to the same Levinson 390S CD player. All cables were new and initially not run in, but since this goes for all three I consider it fair. Au naturel the Belden is a lively, fast and dynamic cable with good detail and solid imaging. It is also somewhat dry and lacking colour but can work well in many setups. 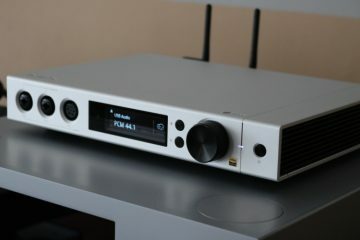 The Harmonic Technology Pro ACII powercable that I normally use (the new type with Furutech connectors) is considerably warmer and fuller than to the Belden. It is also more relaxed and slightly slower but is musically more engaging and richer in color. 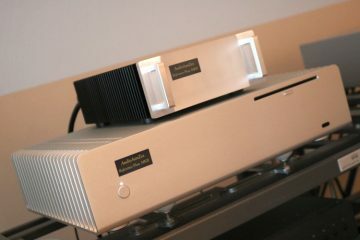 The Belden’s good points compared to the HT are its openness and speed. 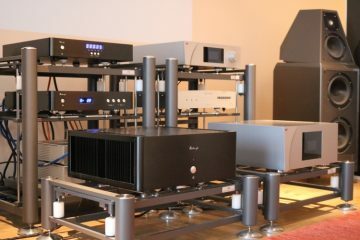 And as such, the Belden is not bad in my system, just not my personal choice. 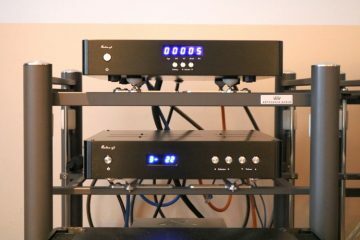 With the thin stocking applied, the Belden suddenly starts sounding like a completely different cable. At first you wouldn’t think that it’s a Belden at all because it exhibits positive sides similar to the HT: it is more smooth, more relaxed, more fluid, less aggressive. For a few moments I am amazed because this tweak apparently turned a Belden into a HT cable! But quite quickly I recognise the Belden’s inherent leanness and lack of richness and also start to notice additional downsides. Where the HT compensates its slower, more relaxed nature with more colour, more fullness and richness and a romantic glow as well as a larger soundstage, the Belden with cotton sleeve takes away the Belden’s good points and substitutes few good ones. Indeed, the cable is now pretty smooth and less harsh in the treble, for sure that’s good, but it also takes away a lot of speed and dynamic slam and the midrange now sounds recessed. The cable sounds quite a bit slower and dynamically compressed, as if the music suffocates. The bass is less dry than the naked Belden which again is a good thing but the sleeve doesn’t add the harmonic richness that makes the HT so compelling. Of course it isn’t fair to compare a Belden to a Harmonic Technology but even compared to the “naked” Belden, you pay a price for using the sleeving. The sleeve is a smoothmaker but it may simply be too much for many systems. The results above were slightly disappointing so I tried another type of cotton sleeving, this time a lot thicker. I really didn’t expect a whole lot of difference but imagine my surprise when this turned out to be a different story! The same good points as with the thinner stocking were scored but this time largely without the negative side effects. This thicker sleeving in fact made the Belden sound a lot more like the HT cable. Gone was the slowness and also gone was the lack of dynamics. The thicker sleeve seemed to add only benefits without detracting from the Belden’s strong properties. Now there was a smooth, fluid sound that was a lot richer than the Belden with the thin sleeve while even the soundstage gained weight and size. Going back to the HT, the Belden was still noticeably drier and more slender in balance, with less colour and richness but this time I wouldn’t say the the HT was undeniably better. The Belden with thick cotton sleeve also had some very valid points such as slightly more upfront staging with clearer treble. 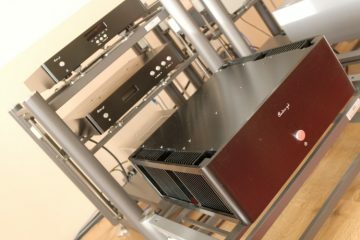 The Harmonic Technology still won me over in the end with its richness and more spacious sound though. In order to gain a more structural result, I also tested the sleeving on a pair of Cardas Quadlink 5C XLR interlinks. First up was the thin T T L treated cotton sleeving. I’ve owned this cable for a very long time and am very familiar with its sound signature. Still, I first listened to it again, just to make sure that my memory wouldn’t play tricks on me. I then applied the stocking and reconnected the cable (in exactly the same way, same position and with the setup well warmed up in both instances) and listened again. Holy moly! That was my first reaction. Here was a Cardas cable that sounded like… well, not like a Cardas at all. 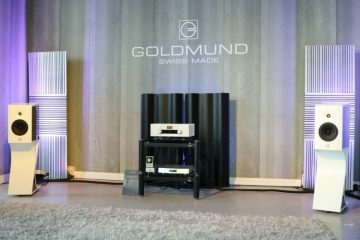 It was more like listening to a Harmonic Technology Truthlink interlink: richer, smoother and also slower and less dynamic. 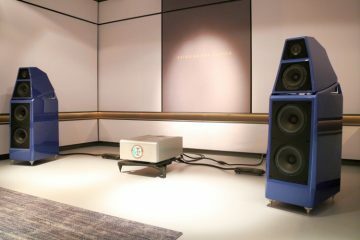 Just like with the Belden powercable test, there were good points to this kind of sound such as compensation for an otherwise aggressive system, or to compensate for an overly “digital” sounding cd player. But in my system it was simply too much. And the effects were even more pronounced than with the power cables. All the good points that I associate with the Cardas cable suchg as its liveliness, speed, excellent PRAT and intricate detaling were all truncated. It sounded a lot like the proverbial blanket between you and your system, but this time it isn’t removed, but applied! 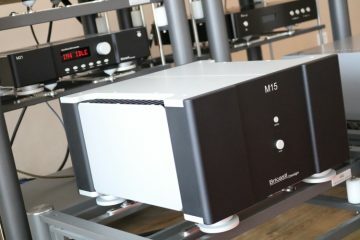 With the cotton’d interlink, I really felt like my Levinson no.390s cd player had been transformed into a Meridian 506.24! And don’t get me wrong, that is a fine cd player but it has a very specific sonic signature that makes it very system dependent. 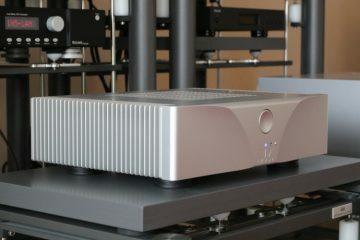 Its sound is always soothing and you can play any cd in it but it simply matches in a given system or it does not. Even though the sheeting addressed the Cardas’ inherent dryness and made for a smoother presentation, I felt that overall, it degraded the Cardas’ performance. Sadly the thicker cotton sleevingwouldn’t fit over the XLR connectors, otherwise it could well have proved a good solution. But this could only be tested if I removed the connectors. Given that this means removing the shrink tube I wasn’t prepared to do that. Instead, I fitted a double layer of the thinner cotton sleeving. This resulted in a double amount of what the single layer did: even more thickening and compression of the sound which makes for a very warm and cozy sound but one that loses out too much in terms of dynamics and liveliness. The effect really isn’t unpleasant at all but evn too much for me. As regular readers know, I like smoothness, I really do, but I don’t want to feel like the life has slipped away from my system. With a double layer of sheeting, the Cardas cable now sounded a lot warmer than any interlink I have lying around and was altogether really too much of a good thing! As mentioned above, the powercables were newly made but over the course of this review, they were plenty used. In particular, the cable that I liked least (the one with the thin cotton sleeving) was left attached to the cd player for an extended period of about three weeks. Still this didn’t change the way the sleeving affected the Belden’s sound. If anything, the cable sounded even softer after being used for a prolonged period. The same was true for the Cardas cable. I mentioned in the beginning that these are not common cotton sleeves. They are supplied by Reference Tweaks and they have been treated with a TTL process. What this process entails is being kept secret. I don’t know either! I suspect that the cotton by itself will already account mostly for the effects I heard but I cannot be sure until I’ve done further testing. But because I’m always curious about these things, I have reqested some more samples from Reference Tweaks, this time the same material with and without TTL treatment. I will comment on this as soon as the tweaks have arrived and tests have been completed. Sleevings can really alter the sound of a cable. Even lifting a cable off the floor can have a large effect on its sound. 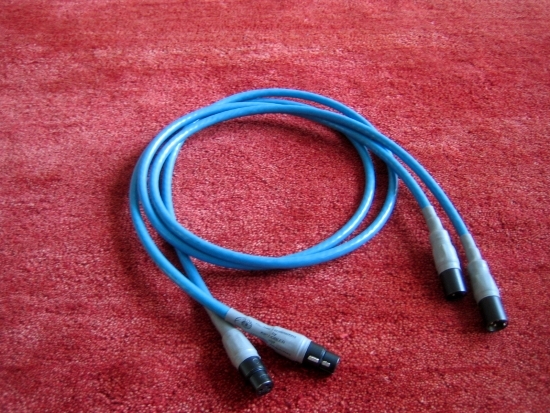 This test has shown that you can transform a cable’s sound by simply adding a layer of cotton around it. This test has also shown than you cannot simply say that cotton=cotton. Apparently, the thickness of the material also plays a large role. Its effect will be largely in the same direction but it can make the difference between hit and miss. Following these initial results, it is obvious that more testing is needed with different materials. 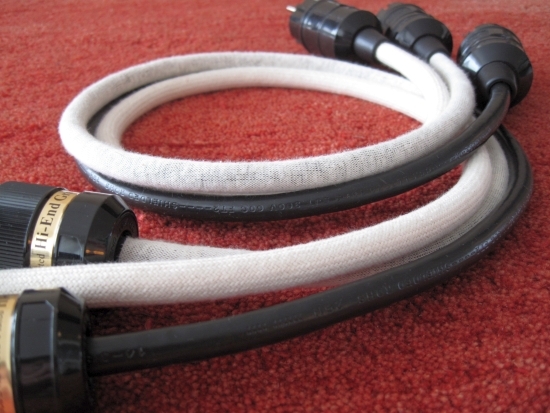 For one, the PVC braiding that is used to make the cable look prettier. Would that also have an effect on the cable? I would say yes, although I haven’t tested this well enough yet to make bold statements. I encourage everyone to experiment with this and see for yourself! 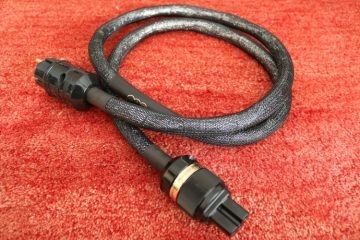 I would like to use the TTL thick cotton sleeve on my Cardas Hexlink Golden Five Power Cable, but can not find any useful LINK to the company??? The company is no longer active and so the website is down but the person behind Reference Tweaks and T T L can still provide various products. Please ask for the contact person and I will supply the email address via mail. Hi DF, The Reference Tweaks website (http://www.referencetweaks.com/) is offline but I believe they may still be able to supply some products. If you leave your email I will send you a personal message with the contact person’s details.